Начало › КАБЕЛИ И КОНЕКТОРИ › Връзка м/у компоненти › THE NAME 0.8 м.
КОКАСИАЛЕН КАБЕЛ ЗА ВРЪЗКА МЕЖДУ ЦИФРОВИ И АНАЛОГОВИ КОМПОНЕНТИ ОТ СРЕДЕН КЛАС, 75 Онм, ДЕБЕЛО ПОСРЕБРЕНА ТЕХНИЧЕСКА МЕД. 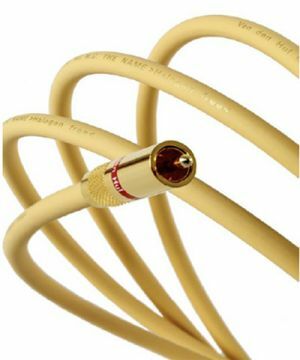 Single packed “Antenna” version with television style coaxial plugs for antenna/cable TV and radio connections in 1.0, 1.2, 1.5, 2.0, 2.5, 3.0, 4.0 and 5.0 m. lengths. (Larger lengths can be made on special request). *: On request our other unit lengths are available.